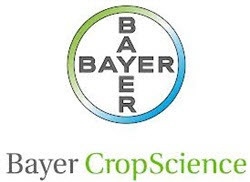 Bayer CropScience recently announced that it has chosen Dr. Jacqueline Applegate, a longtime executive at Bayer, to be the new Head of Environmental Science in the non-agricultural business operations unit. Applegate will be established in Lyon, France, at the unit’s headquarters. As part of her new responsibilities, she will also serve as a member of the Executive Committee at Bayer CropScience. Dr. Applegate brings 23 years of experience to the company. Her predecessor was Dr. Gunnar Riemann, who left Bayer for other career opportunities. Environmental Science provides a variety of products for non-agricultural pest and weed control for both consumers and professionals. “I am delighted to return to Environmental Science and take on global responsibility for a business that helps foster healthy environments in which we all live, work and play,” Applegate said.